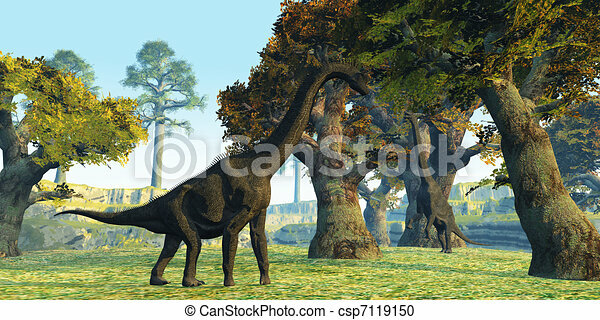 Two brachiosaurus dinosaurs walk among large trees in the prehistoric era. 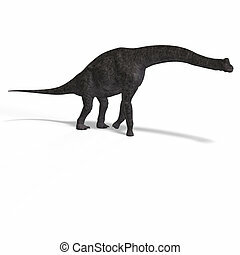 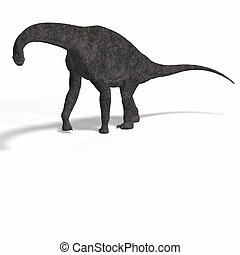 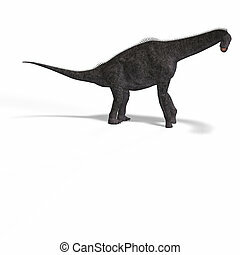 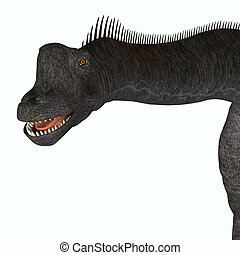 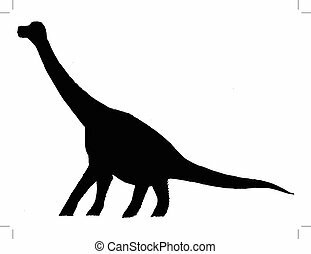 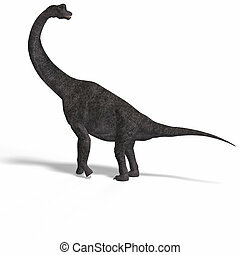 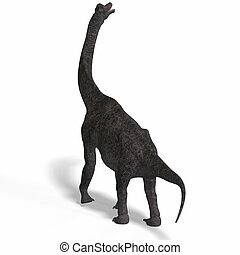 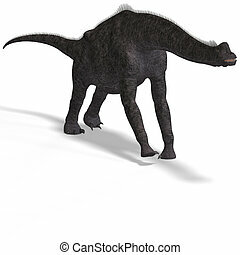 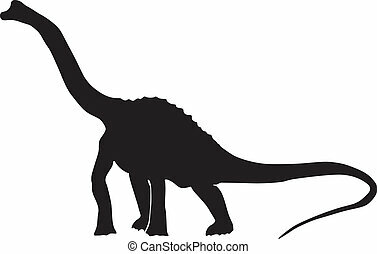 The Brachiosaurus dinosaur was a sauropod from the Jurassic Period. 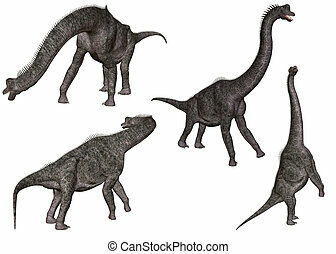 Its forelimbs were much longer then its hind limbs giving it the look of the modern giraffe. 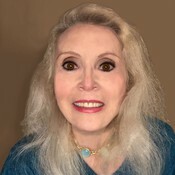 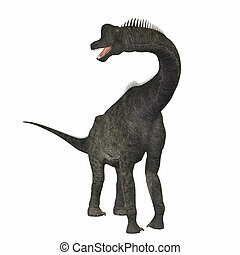 This herbivore browsed the treetops in North America. 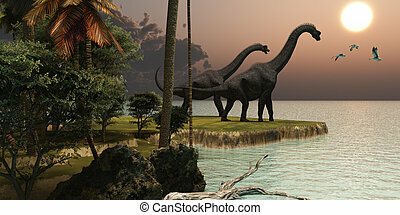 Two Brachiosaurus dinosaurs enjoy a beautiful sunset. 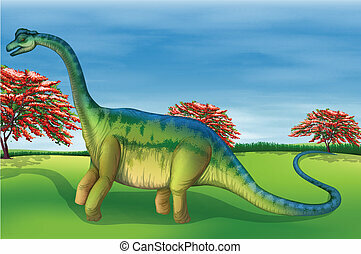 Brachiosaurus dinosaurs munch on tropical vegetation in the Jurassic Period of North America. 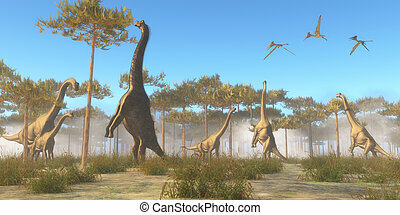 Three Brachiosaurus dinosaurs walk through a forested area while three Pterosaurs fly overhead. 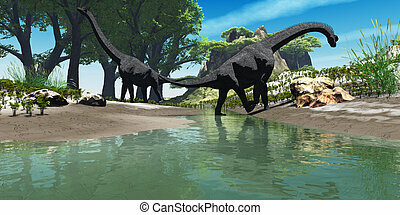 Two titanic Brachiosaurus dinosaurs look for food along the banks of a stream. 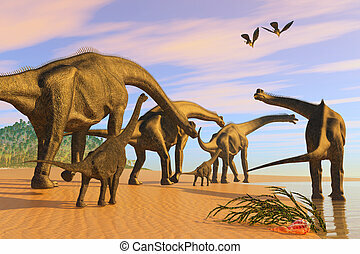 A Brachiosaurus herd walks down a wet sandy beach in search of vegetation to eat. 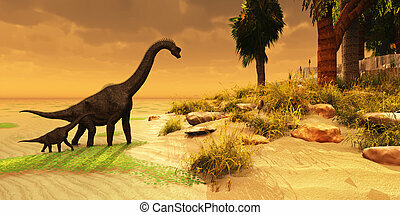 A mother Brachiosaurus Dinosaur brings her offsring to an island habitat in the Jurassic Era. 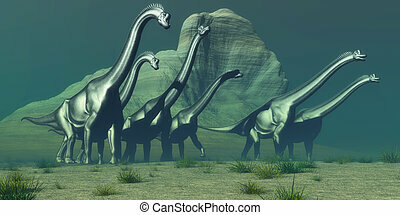 A herd of Brachiosaurus dinosaurs pass a high bluff in their search for a forest of trees for grazing. 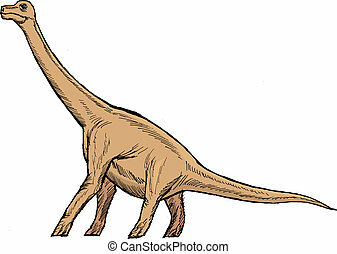 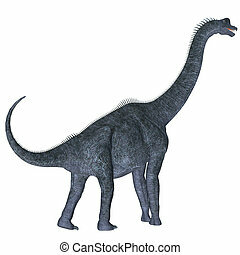 Brachiosaurus was a herbivorous sauropod dinosaur that lived in the Jurassic Age of North America. 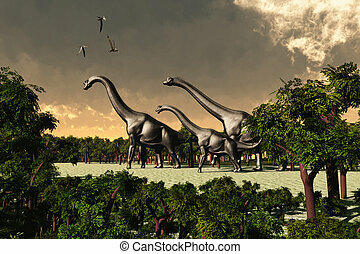 A Brachiosaurus herd browse on tree tops as a flock of Pterodactylus flying reptiles fly overhead. 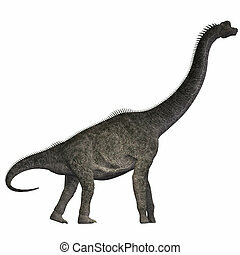 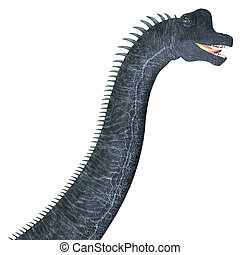 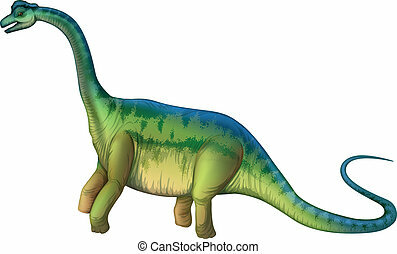 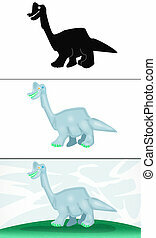 Brachiosaurus was a herbivorous dinosaur that lived in the Jurassic Era of North America. 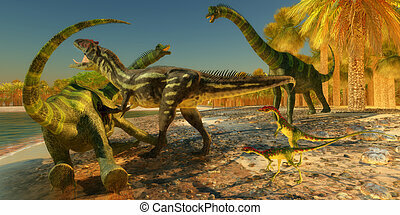 Two Compsognathus wait as an Allosaurus dinosaur brings down a huge Brachiosaurus on the beach. 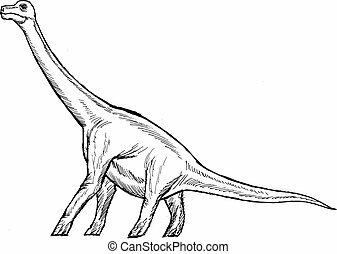 Brachiosaurus was a herbivorous sauropod dinosaur that lived in the Jurassic Period of North America. 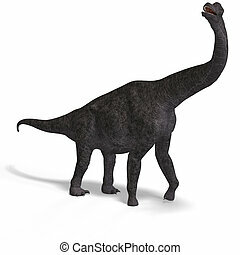 Brachiosaurus was a herbivorous sauropod dinosaur that lived in the Jurassic Age of North America. 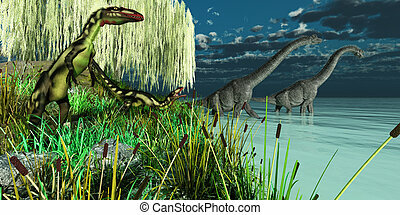 Small Dilong dinosaurs watch as two Brachiosaurus dinosaurs wade across a lake.